What is a Online Medical Second Opinion? For over 25 years, patients and families have looked to We Care India for medical advice and treatment. Now you may consult with our world-renowned physicians from the comfort of your home utilizing the customized second opinion service that is right for you. When should I get another medical opinion? If you don't have full confidence in the recommended treatment or in the doctor Doctors expect (and many managed care plans require) their patients to seek other opinions. Don't worry about hurting the doctor's feelings when you ask for one. How can I get another medical opinion? 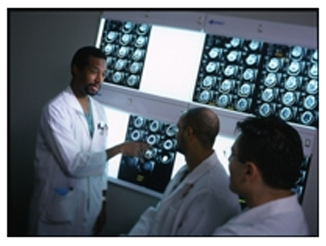 Your doctors may refer you to other doctors or specialists. Ask friends or relatives who've been treated for the same condition. Ask for a list of approved doctors from your medical insurance company or your employer's health plan administrator. Call your local medical society. Check the American Medical Directory, the Directory of American Specialists or other professional directory at your local library. We Care India experts review your medical records and diagnostic tests and render an opinion that includes treatment options or alternatives and recommendations regarding future therapeutic considerations. If you would like more information about an Online Medical Second Opinion, please contact us at 0091 22 28950588 e-mail info@wecareindia.com. The We Care India Second Opinion services allows patients who reside outside the United States to remotely access and consult with a We Care India physician without having to travel to the India. This remote Medical Second Opinion service is a convenient alternative to confirm diagnosis and obtain treatment recommendations from a We Care India physician without having to leave your home country. A second opinion from an independent and experienced We Care India specialist can help you face a challenging situation with confidence and allow you to make an informed decision about treatment options available for your condition. Based on the medical information provided, We Care India Medical Second Opinion will use the latest available knowledge to confirm the diagnosis, review the current treatment plan, and recommend a treatment plan should you decide to travel to We Care India partner hospital. A consultation process has been developed to meet the needs of the international community. Please send an e-mail to info@wecareindia.com to request a Medical Second Opinion or to ask for more information about this service. You can also request a medical second opinion through our Get a Quote form. Medical Second Opinion provides expert consultation for the diagnosis of any medical condition and treatment recommendation without your having to incur the expense and trouble of leaving home. You needn´t travel to the world´s leading medical experts - Second Medical Opinion from We Care India brings them to you. All of the following is included in the Medical Second Opinion service. Once the request has been made and relevant information sent, a We Care India Medical Second Opinion physician will phone you for a personal interview and review of the medical history. A file is then prepared including specific questions and requests for evaluation. The material is translated where necessary, and sent for an expert medical opinion. Your attending doctor at We Care India will consult with you and advise you regarding the medical center and/or doctor of choice for the consultation, taking into account the particular subspecialty required. The medical file sent for consultation may include pathology slides, radiology images, or any other relevant and required tests. These files are then transmitted using advanced telemedicine technologies (or hand delivered where necessary) for work-up. In most cases within 3 - 5 working days, We Care India will deliver the written expert report with an additional summary which we write for the patient´s clarity and understanding. Your We Care India physician will contact you to review the opinion together, providing all required explanations and information. Aware of the fact that the patient is often the last person to understand his or her condition, medical opinion knows the importance of keeping the patient in the information loop. Maintaining a sense of control over one´s treatment and confidence in the decisions taken, improves one´s ability to cope. This in turn results in positive attitudes which may even influence a positive outcome. Upon receiving the expert medical report (the second opinion) the Medical Opinion physician will fully explain it giving the patient a thorough interpretation of the consultation ensuring that the patient fully understands. Offering continued follow-up and treatment support, We Care India 's service also goes beyond the second opinion to total Personal Healthcare Management.